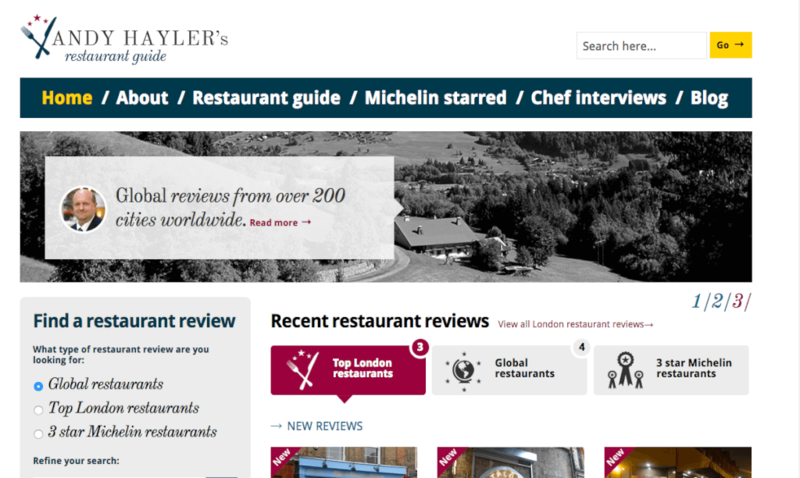 Take commission free bookings from Andy Hayler’s restaurant guide. ResDiary has teamed up with Andy Hayler, the only independent food critic to have dined at all 3-star Michelin awarded venues around the world. The author of “The London Transport Restaurant Guide” and a freelance food writer for various publications, he was also guest critic on the first four series of BBC’s “Masterchef: The Professionals.”, and wrote the Paris section of National Geographics’s “Food Journeys of the World”, published in 2009. He is also the restaurant critic for Elite Traveler magazine. As a ResDiary customer you can benefit from commission free bookings on Andy Hayler’s restaurant guide.